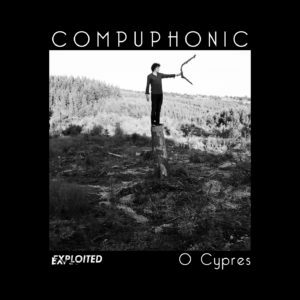 Compuphonic aka Maxim Firket is a multifaceted producer and DJ from Liège, Belgium, who was raised on a well-balanced diet of classical music, early electronics and industrial variants from Kraftwerk to Front 242, and the revolutionary soundwave that swept over from Detroit, Michigan. Hence, Maxim did not only grow up to become a skillful violoncellist, but also a producer with a unique approach, blending his various sources of inspiration into one intelligent mix of old-school electro, house and minimal stylings. So far he has released on imprints such as Dirty Dancing, Tiga’s Turbo, Get Physical and Exploited. His ’Radio Atlantis’ release on Exploited got praise all over the place, was big in the Beatport Charts and still is on heavy rotation at Radio Studio Brussel. ’O Cypres’ is his magnificent follow up on Exploited. Enjoy.